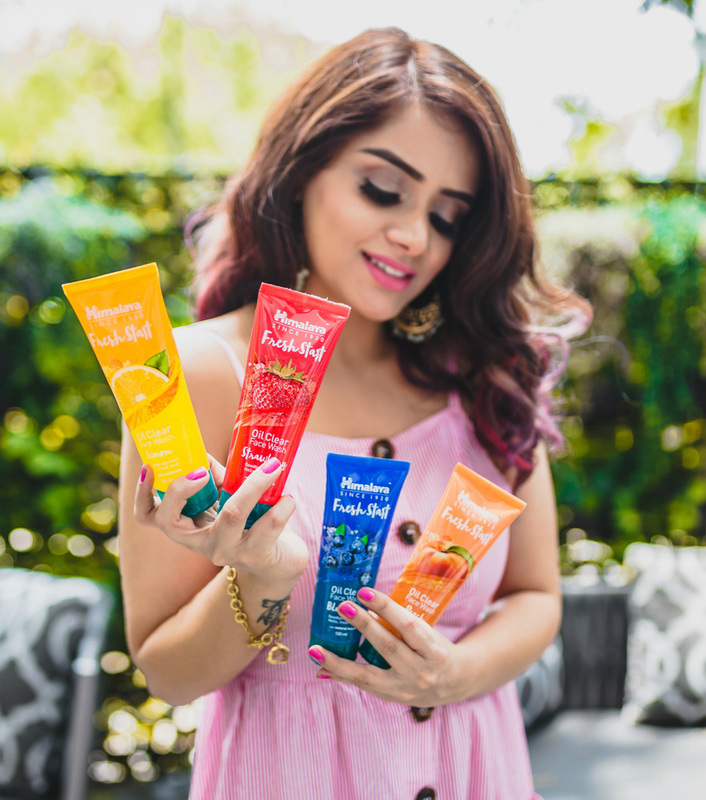 Himalaya recently launched the perfect product for summers, their Fresh Start Oil Clear Face Washes. The brand is known for its effective products priced at pocket friendly prices so naturally I had to give this new range a try as well. Oh and the super attractive packaging was hard to skip. 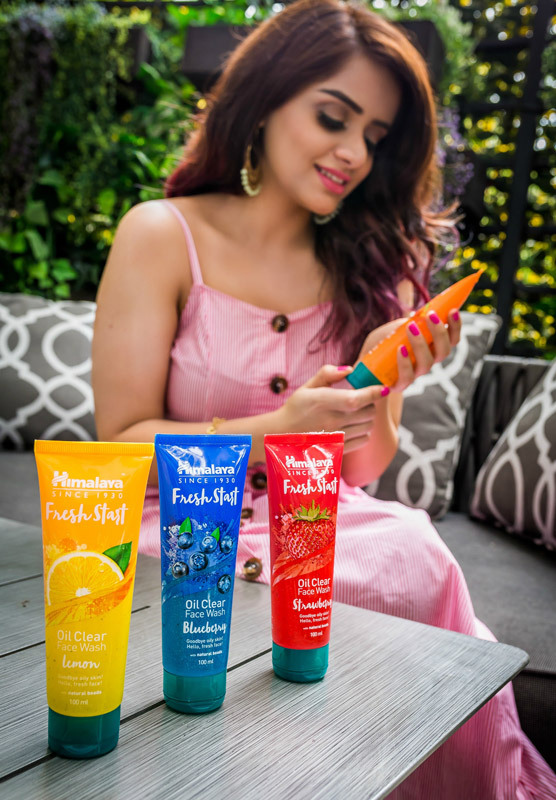 Read on to know if this is best face wash for oily skin in India and how well it fared with me. 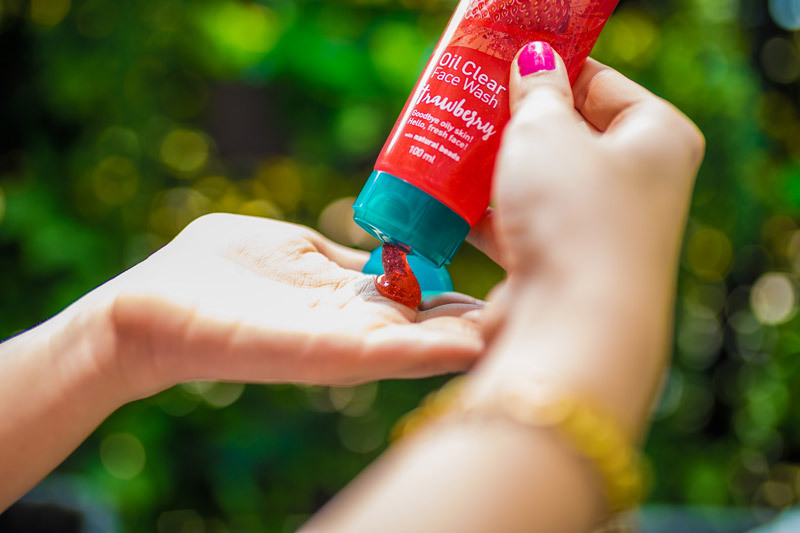 Kick-start your day with the confidence of a fresh and oil-free face with Himalaya Fresh Start Oil Clear Strawberry Face Wash. Revive your skin with energizing natural beads and the goodness of Strawberry. Experience the perfect deep cleansing that washes away oil and dirt to give you skin that is glowing, healthy, and refreshed. The new Himalaya Face Wash for oily skin comes in an attractive squeez-y tube packaging. The colors are so bright, vibrant and peppy that you are instantly attracted to the range. Each flavour comes with its corresponding color ie blue, red, orange and yellow. The tube has a flip open cap which shuts tightly hence it is travel friendly. The face wash is available in 2 sizes; 50ml & 100ml. Himalaya Fresh Start Oil Clear Face Wash has a gel like texture and comes with natural beads that help in lightly exfoliating the skin. The beads aren’t abrasive hence perfect for use on a daily basis. I need only a small quantity to adequately clean my face and neck. The new Himalaya Oil Clear Face Wash lathers easily and removes dirt, grime and oil really well. My face instantly looks brighter and fresher after use. I have dry skin yet Indian summers are so harsh that even I tend to struggle with sweat and oil in this weather. Despite that, my skin does not feel stretch-y or dry after use. My sister, who has oily skin has been using this for a month now and totally swears by it. It keeps the oil at bay for a few hours and she loves the glow she gets after usage. The face wash is very refreshing and she loves using it after a hectic day at work. 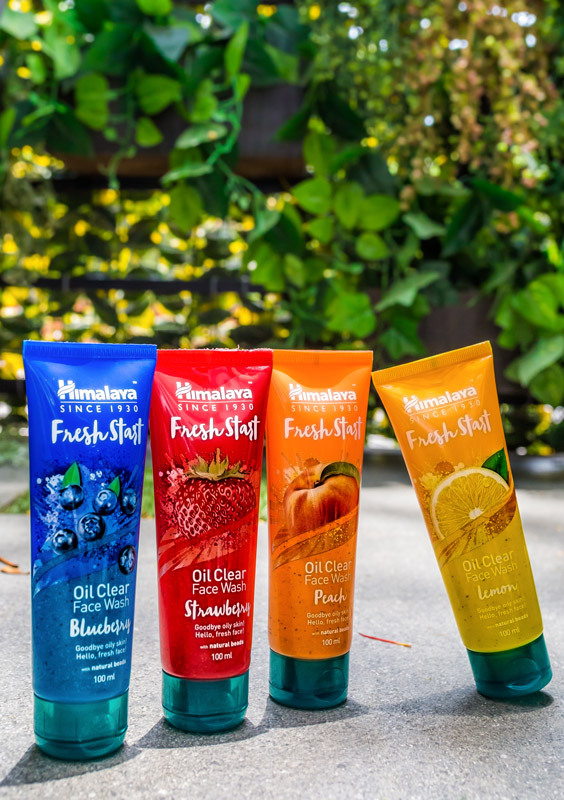 The Himalaya Fresh Start Face Washes are available in 4 variants: blueberry, strawberry, orange and peach. All of them have a mild and refreshing fragrance which invigorates the senses. I personally love the blueberry variant and I’m guessing it will be really popular with the masses due to the “exotic” factor. HBM Recommendation: The Himalaya Fresh Start Face Wash is one of the best affordable face washes for oily skin in India. It instantly brightens the face and removes dirt, sweat and oil. It does not dry out the skin or makes it feel stretch-y. Available in 4 beautiful variants, I highly recommend them to those with combi-oily skin.